Support arts in education AND the environment! Become a calendar sponsor today! 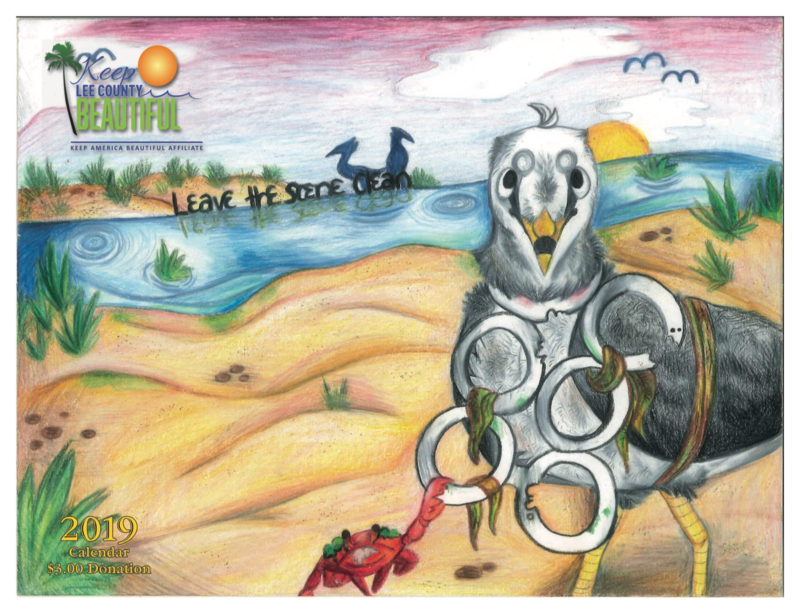 Since it's first print in 1991, the Keep Lee County Beautiful, Inc. "Leave the Scene Clean" Calendar has given nearly $500,000 back to local schools. Local elementary, middle, and high school students, from public, private, and homeschools are asked to envision a correct environmental action and transfer that mental picture into a work of art. Possible ways of expanding on this theme could include: litter prevention, clean-up campaigns, beautification efforts such as landscaping and tree planting, protecting the environment, and recycling. Thirteen first place winners, one from each grade 1 through 12 and an overall winner will be selected. Winners are treated to an award ceremony each fall with 1st place winners receiving cash prizes. This colorful full-size calendar features the environmental artwork by Lee County students. The calendar, which is used as an educational tool, is distributed throughout the school system and during KLCB events. A blend of corporate support, educational content and children's art makes this project one of the most fulfilling projects of KLCB's mission. The calendars, donated to local schools, serve as a source of funding for school environmental projects as well.